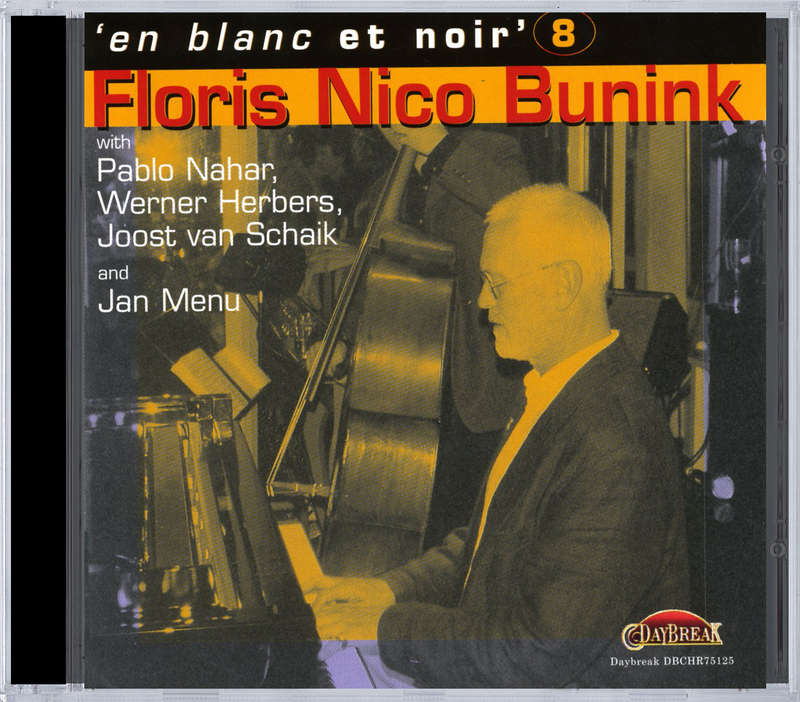 Pianist Floris Nico Bunink may have been Holland's most underestimated jazz talent. From the late '50's through the '60's he lived in the US, where he worked and performed with Charles Mingus and many other great American jazz artists. He likely remained little-known by virtue of being more of a bon vivant than self-promoter, and it's regrettable that he received so little attention and made so few recordings. In Holland he first recorded for Daybreak with trombonist Jimmy Knepper's studio sextet. ("Tell MeÉ" has been reissued on CD DBCHR75048). Floris Bunink passed away in December 2001, but fortunately Daybreak had recorded him several times in 1999 and 2000. Three selections from those dates plus a number of charming "living room sessions" can be heard on #8 (DBCHR75125) in the piano series "en blanc et noir". More studio material can be enjoyed on "en blanc et noir" #5 (DBCHR75094).